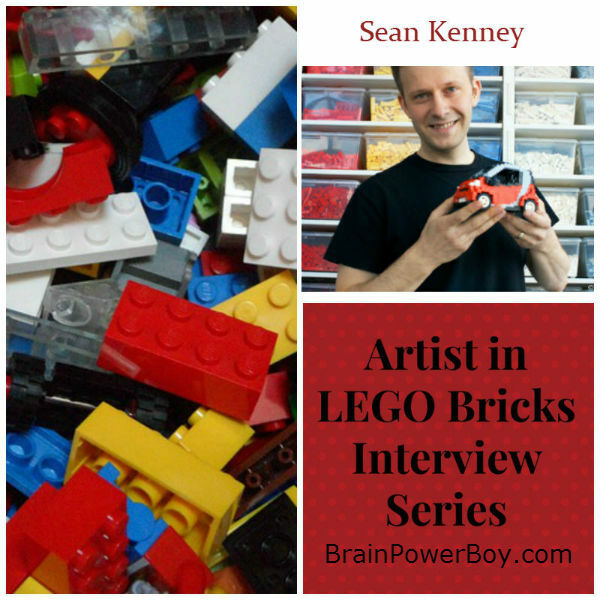 Speaking with artists who work in LEGO has been a lot of fun and I was really excited to speak with Sean because I have read his books. Sean shares what he enjoyed playing with when he was a child—I’ll give ya one guess what his answer was 🙂 and he gives boys some great tips for working with LEGO. On Sean’s website, which I encourage you to check out with your boy, he calls himself a “professional kid.” It is great to think that our boys can retain their sense of wonder and play as they move into adulthood. Sean has made an impressive career of working with LEGO. Following a passion can lead to great things. Sean has . . . are you ready for this? About Two Million LEGO pieces! That’s a lot of bricks. 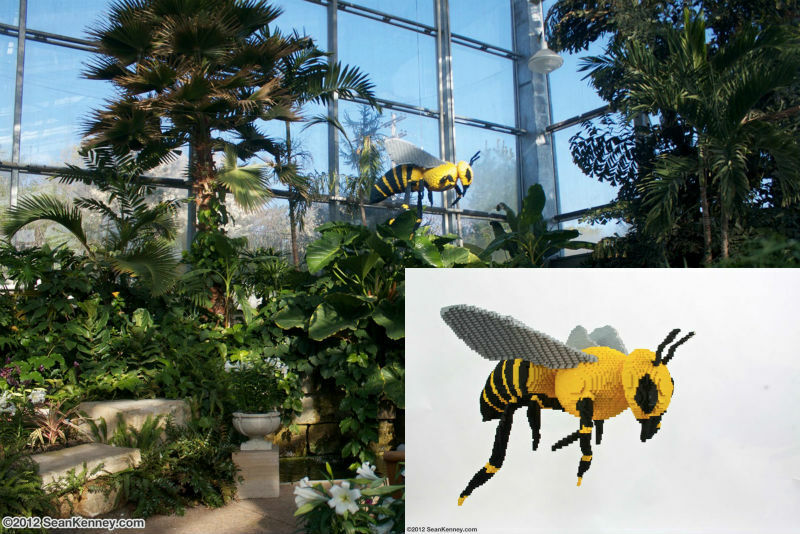 He designs LEGO sculptures for venues around the globe, and for corporate clients. If his traveling exhibit, Nature Connects, comes close to your area you should make every effort to check it out. It looks really incredible. One thing is clear; Sean loves what he does and that really shines through in his fabulous creations. Many of you are likely familiar with Sean. He has written a series of “Cool” LEGO books that I know some of you have bought for your boys. I think his books are pretty awesome. You can find out more about them in Our Cool LEGO Book Review. I contacted Sean to see what he had to say about LEGO and any advice he would give to boys who are really into building. He kindly agreed to answer a few questions and now I can share his answers with you. Enjoy! Sean: I was 100% into LEGO as a kid. In fact, when I was little, it was all I wanted to play with. My parents used think it was odd that I would only ask for LEGO sets on my birthday or for Christmas. “Don’t you want other toys?” they would ask. Sean: LEGO toys are great for boys and girls because they are tons of fun and get kids’ brains working without even knowing it. You’re using creative juices and math and lots of other things, all while having fun. They make you think “What can I make with this?” “How can I make a pirate ship with these pieces?” Creativity and problem solving become fun. I think this is why the toy has been so successful for so many years. Plus, kids become creative in a way that is very hands-on and real. Other crafty activities like drawing and finger-painting do the same thing, kids don’t tire of LEGO toys the way they do with other toys. Pieces from a child’s very first LEGO kit will still interconnect with pieces from a LEGO kit they get as a pre-teen. Not many toys stay relevant to a child for a decade! The toy constantly changes… a few LEGO bricks become a dinosaur, then a sports car, then a rocket ship. No matter what, children can build what interests them. Sean: The most challenging thing is to create curved shapes with those hard little plastic rectangles. Making something round and curvy like a shoe or a ball can be tricky, but the most complex thing is to create people’s faces. We all read so much into facial expressions that you can move one piece and suddenly a face changes from looking depressed to looking bored. I often need to build and re-build a face many times to get the expression just right. Unlike traditional sculpture, you can’t just carve out a shape or add to a surface. You have to think ahead as you’re building upwards linearly. It’s very tricky at first, but once you get the hang of it, it’s very rewarding to build something organic. Sean: I’ve learned most of my building techniques simply by building, building, and building. For example, creating curved shapes with those little rectangular bricks can be very challenging. So I started with a small, simple sphere. It was fragile and a little lumpy, but I learned things in the process, and the next time I needed to do something similar, I was able to create better curves and a sturdier model. Every new project still teaches me a better (or worse) way of doing something, and over time I learn which techniques to use in which situations. Anyone can do it! With a good idea in your mind and a little patience, you can create anything. Don’t be afraid to take half your model apart and start over if it’s not coming out the way you like it … I do that all the time! And don’t be afraid of making mistakes; you learn more from mistakes than from your successes. Maybe you’ve created a cool spaceship, but it fell apart when you moved it across the house… That’s OK… next time, take a look at the model and come up with way to make it sturdy on the inside before adding the cool details on the outside. What fun to see Sean’s work and hear what he had to say about LEGO. Thanks Sean! You can visit Sean on Facebook and Instagram to see what he is up to. If you enjoyed this interview please use the sharing buttons below and share away! 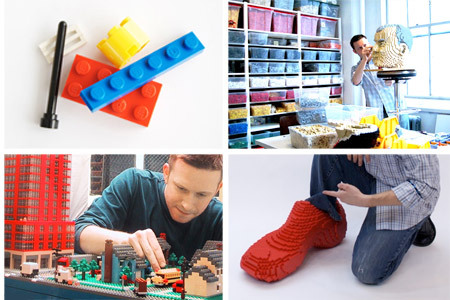 Feel free to leave me a comment to let me know which LEGO creators you are interested in hearing from. 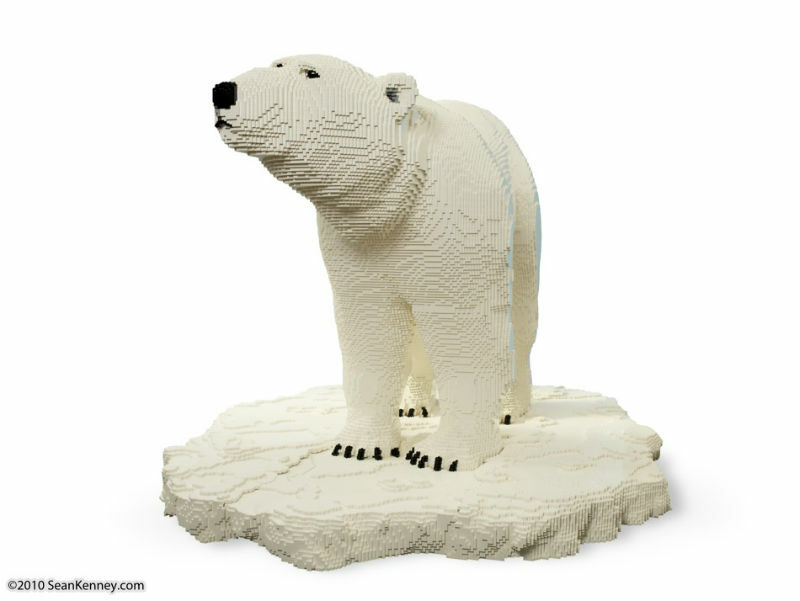 If you enjoyed this post you can see our other interviews with LEGO Brick Artists as well. Go here for the complete list of Cool LEGO Books by Sean.